01. 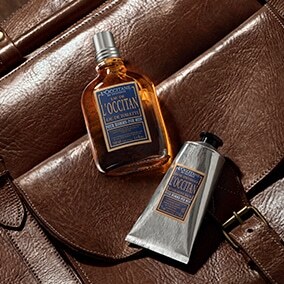 What does "L'OCCITANE" mean? 02. Are your products suitable for Vegans? 03. How do you pronounce L'OCCITANE? 04. Do you use Parabens? 05. Do you use Palm Oil? 06. Do you use Methylisothiazolinone (MIT) in your products? 07. Are your products safe to use while pregnant? 08. Do you test on animals? 09. I am allergic to nuts, which products are safe to use? 10. Do you use micro-beads in your products? 11. What are the Customer Service opening hours? 12. What is the shelf life of of my product? 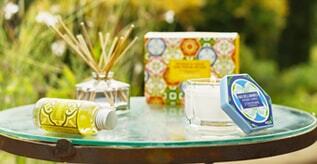 L'Occitane means “women from Occitania” which is a region in South of France, well known for their hospitality. L'Occitane is pronounced "Låkk-si-tann". At L'Occitane we do not use products of animal origin other than bee bi-products such as Honey. This is identifiable on the product ingredients list as Honey extract or Beeswax. Honey is used as a natural moisturiser, so may be found is some of our moisturising products, such as Hand Creams or Face Creams. If you are unsure about the ingredients in any of our products do not hesitate to get in touch with our customer service team using the contact us form on the tab above. Phonetically you pronounce our name "låkk-si-tann". We strive to use high-quality, traceable, natural ingredients. We use over 200 botanical ingredients, a quarter of them organic certified, which are carefully selected for their effectiveness and their ability to give your skin the elements it needs to be beautiful. These ingredients are used at an ideal concentration in our formulas. We therefore systematically give priority to natural ingredients whenever possible. For example, we use vegetable oils in place of oils derived from petrochemicals, as they have a better affinity with the skin. However to ensure that our products offer optimum safety and effectiveness, we may use synthetic molecules when no reliable and effective natural alternative exists, while always erring on the side of caution. As a brand who values pure and natural ingredients, L’Occitane has undertaken to remove all Parabens from its products and from January 2014 we were 100% Paraben free. We are constantly researching new and innovative methods to reduce or remove all together preservative ingredients from our formulations to protect both our customers and the environment. We do not directly purchase or use palm oil in our formulas. However, our soap noodles/flakes and certain derivatives (such as surfactants, which give a formula its foaming properties) may contain it. Nevertheless, the volumes used by our activity are very low in relation to worldwide consumption across all sectors. When it comes to sourcing our ingredients, we are committed to upholding our values and ensuring the quality, traceability and sustainability of our plant ingredient supply chains. This is why we have launched various initiatives to ensure that we use palm oil responsibly in our products. Our soap flake suppliers are going one step further than the RSPO criteria and are signatories to the "Palm Oil Innovation Charter". This charter lays down stricter provisions with regard to protecting biodiversity, fighting deforestation, building ethical and sustainable partnerships with local populations, and carbon storage. We also encourage our suppliers to use RSPO-certified palm oil and to give priority to the highest certification levels. 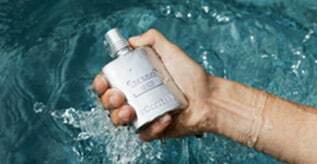 L’Occitane takes great care with its product development and formulations to ensure complete consumer safety and efficacy. Our research & development scientists in France adhere to the strictest safety regulations set by the EU as well as the various international markets we operate in. MIT (Methylisothiazolinone) is a preservative. As of, February 12, 2017, the EU commission regulation (EU) 2016/1198) forbids its use for leave-on cosmetic products (for induction of contact allergy). For rinse-off cosmetic products, the EU commission regulation authorizes MIT at concentrations up to 0,01 % weight/weight (100 ppm). You can be assured that L’Occitane products are fully compliant with the EU commission regulation (EU) 2016/1198 and the CIR International Expert Panel. 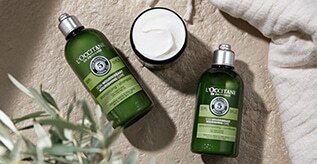 L’Occitane removed MIT from its leave-on cosmetic formulas a few years ago. As for the few rinse-off cosmetic products containing MIT, our teams are also anticipating a change of regulation by reformulating them now. Our objective is to remove MIT from all of our formulas, as a precautionary measure, even if this preservative is still authorized by the EU commission regulation. As we are regularly updating our products and their ingredients we do not display the ingredients on our website. However, if you would us like to check the ingredients of any product for you, please let us know which products you are interested in and we will be happy to arrange this for you before your purchase. 08. Does L'Occitane test on animals? No, we do not. Tests are carried out on human beings as part of a series of clinical tests- a patch test in the case of human skin or tests using egg membrane as an alternative. Please read L'Occitane's standpoint on animal testing, click HERE to see the statement. We would not recommend using the almond range for obvious reasons. Our Shea Butter collection is safe to use as shea is considered a fruit and the extraction methods avoid the protein that can trigger reactions. However, we would like to emphasise that as we produce products in a factory where nut derivatives are used, we cannot 100% guarantee that a product has not come into contact with nut derivatives. Currently micro -beads are widely used across the Beauty Industry in exfoliation products. As these micro-beads are non-biodegradable they can be harmful to the eco-system when they enter the marine environment. 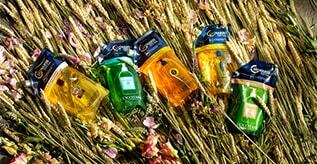 The L’OCCITANE Group has stopped using micro-beads in all future developments, and are committed to removing the few products that do contain microbeads in current formulations. L’OCCITANE UK has taken immediate proactive steps to remove the two products containing microbeads (the Almond Shower Scrub and the Revitalizing Body Scrub) from sale. Long term, L’OCCITANE is commited to eradicating microbeads in formulations by 2017. At L’OCCITANE, we try to limit our impact on the environment wherever possible, and endeavour to develop our products in synchronicity with nature. We give priority to natural ingredients wherever possible and use natural materials such as crushed almond shells (as found in our Almond Delicious Paste Scrub) or apricot kernel powder (as found in our Shea Butter Ultra Rich Body Scrub) as alternatives. All beauty products will need to be used by a certain period. This is known as the 'period after opening' and can be easily identified by the PAO symbol. The symbol can be recognised as the shape of an opened jar, and will have a number inside; 6M will indicate 6 Months, 12M is 12 months, and so on. 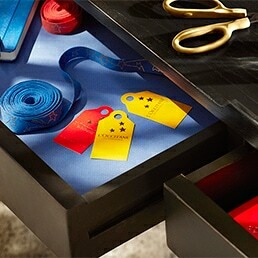 Once opened the product should be used in this period, as after this time the quality of the product will deteriorate.